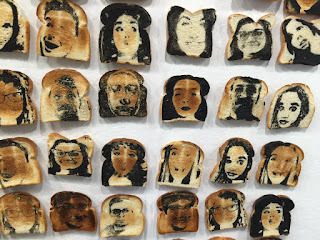 EXPANDED MEDIA: Taking it to the Toast! 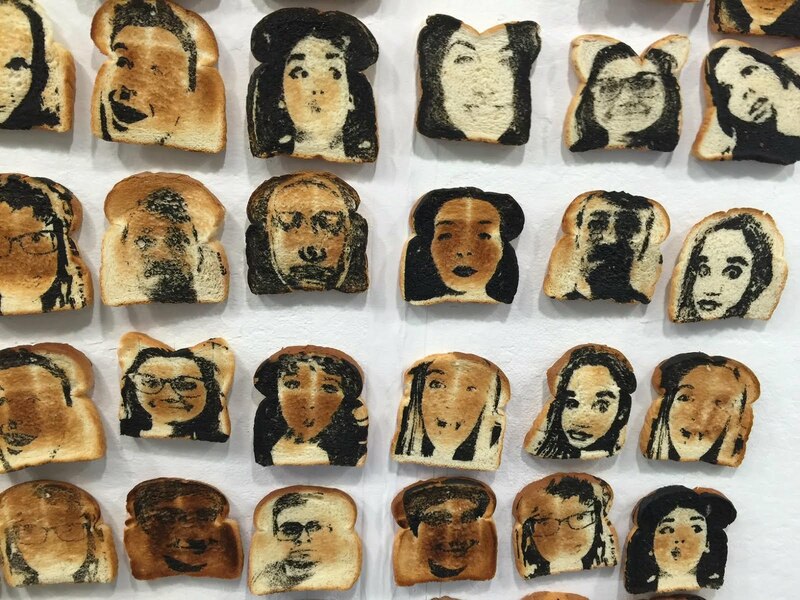 Taking it to the Toast! 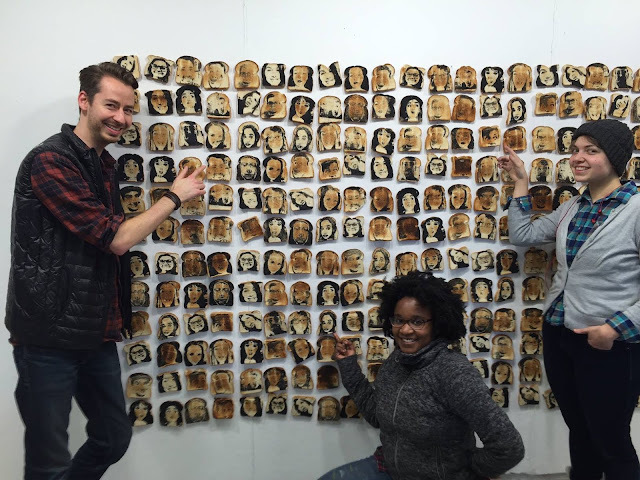 Printmaking students ventured into food terrain last week in our print shop studio. New Visiting Faculty Sophomore Print Media Class- Myles Calvet- silkscreen portrait toast. 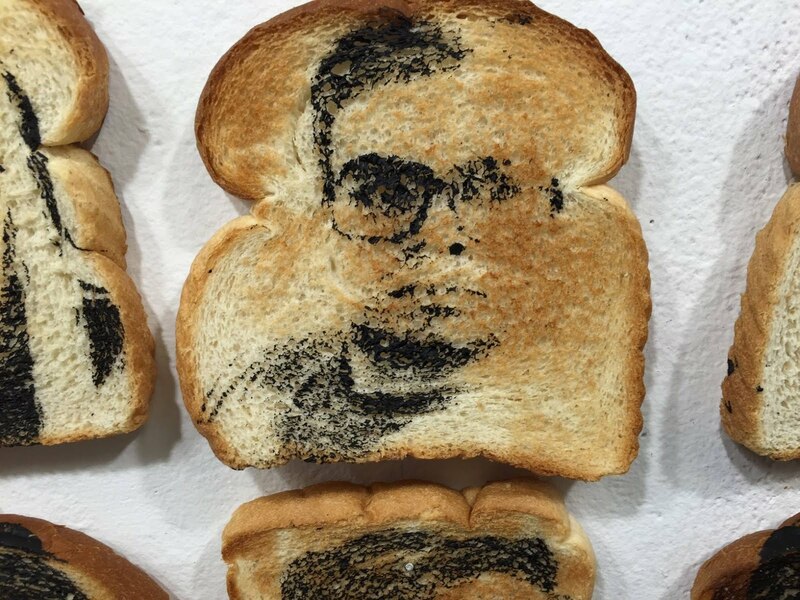 Take a look at the innovative toast portraits. New Visiting Faculty Sophomore Print Media Class- Myles Calvet -Silkscreen portrait toast-- bread portrait project. The printshop smells like toast!!! With Yibo Xu, EIA grad Teaching Assistant. 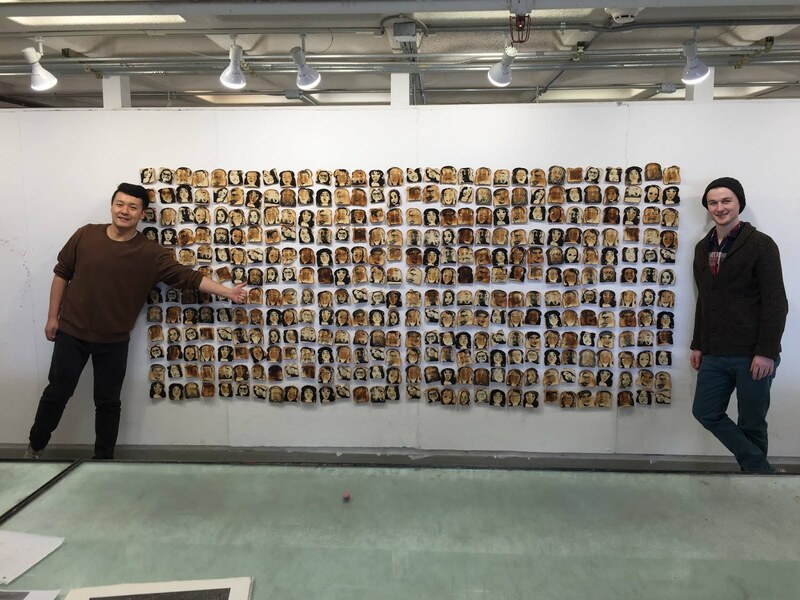 The Smart Wall Area In Full Effect!